2582 Shadyside Road, Findley Lake, NY.| MLS# R1063811 | Chautauqua Lake Real Estate Services. Informed, Professional Real Estate Information Serving Buyers and Sellers Interested in Lake Chautauqua Real Estate and Chautauqua County NY Real Estate. Rick and Julia McMahon Real Estate Advantage Since 1992. 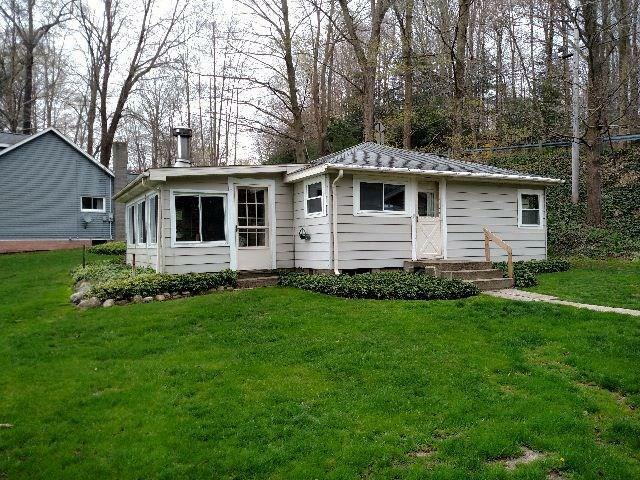 You'll love this charming cottage with spectacular views of Findley Lake. Your waterfront awaits: plenty of opportunity to boat, fish, water ski, jet ski, tube, sail, hike, bike, paddle, snowmobile - you name it! Plenty of parking and storage for all your toys. Just minutes from I-86/I-90, Peek n Peak and Chautauqua Lake. New Septic system approved & installed Nov. 2016. Get ready to create some wonderful memories. Great rental potential. Why are you still reading? Directions To Property: Approximately One Mile From The Village. Located On The Intersection Of Shadyside And Parsonage Rds. Look For The Garage At The End Of The Long Driveway, Plenty Of Parking!